Where can I get my blood drawn? Beginning February 26th a change will be made, when Group B screens are ordered. The provider must choose “YES” or “NO” to penicillin allergies to move forward with the order. This will allow the laboratory to proceed with appropriate susceptibility testing. Any questions can be directed to Carey Jacquay, Lab Manager Microbiology/Blood Bank/Sendout Testing, at 260-266-1505, or Landers Barber, Lab Lead Microbiology at 260-266-1593. On Wednesday, March 6, 2019, the Parkview Health Laboratories will begin calculating the eGFR using the CKD-EPI equation. The reference range remains >60, but patient results will be reported as numeric values up to 120 mL/min/1.73m. The equation still applies only to those >18 years of age. There might be a slight one-time shift in eGFR value with the transition to the CKD-EPI equation. Please contact Dr. Qi Wang, Pathologist, at 266-1641, or Richard Brown, Laboratory Chemistry Specialist, at 266-6083. On Tuesday, February 26, 2019, the Parkview Health Laboratories will change the Glucose reference range for all patients >1 day of age to 70-99 mg/dL. Please contact Dr. Karen Wan, Pathologist, at 266-1639, or Richard Brown, Laboratory Chemistry Specialist, at 266-6083. On Tuesday, February 12, 2019, the Parkview Health Laboratories will change the Calcium reference ranges. Beginning January 28, 2019, Parkview Health Laboratories will report Anion Gap with all lab orders containing an electrolyte panel. Anion Gap will be reported with a normal reference range of 9-16 mmol/L. Please refer questions to Ann Vick, Lab Chemistry Specialist, at 266-1587 or Dr. Qi Wang, Chemistry Technical Director, at 266-1641. On Tuesday, January 29, 2018, the Parkview Health Laboratories will change the TSH reference range to 0.25-4.50 uIU/mL. Please contact Dr. Karen Wan, Pathologist, at 266-1639, or Richard, Brown, Laboratory Chemistry Specialist, at 266-6083. Effective January 10, 2019, Hepatitis B Surface Antibody (HBsAb) results will contain both a quantitative value and a qualitative interpretation. This change is being made to allow providers to better correlate HBsAb results to WHO and CDC recommendations for interpretation of HBsAb immunity. Please refer questions to Ann Vick, Chemistry Specialist, at 266-1587 or Dr. Qi Wang, Chemistry Technical Director, at 266-1641. From now thru February 1st Parkview Health Laboratory will be switching out the collection specimens for the Gastrointestinal Panel (Test Code: GIBIO). Biotin (a.k.a Vitamin B7 or Vitamin H) is found in over-the-counter multivitamins (low-doses) and hair/skin/nail care products. Biotin is also used in certain reagents that generate patient test results, so an excess of the OTC products (an unusually high dose) can cause a false result to be reported by the Laboratory. v When a patient is taking a multivitamin as directed on the package, he/she does not need to wait to have your blood drawn. Typical daily multivitamin (30-60 mcg of biotin) pose no risk of interference, in the Roche assays. v When a patient is taking a supplement for hair, skin, or nail care as directed on the package, he/she needs to wait 48 hours after the dose to get your blood drawn. v When a patient is taking Biotin, Vitamin B7, or Vitamin H by prescription from a physician, he/she needs to wait 48 hours after the dose to get your blood drawn. o Patients taking vitamin supplements containing high doses of biotin (>5 mg/day) may have falsely increased test results generated. o Patients taking vitamin supplements containing doses of >5 mg/day may have falsely decreased test results generated. v Please contact Dr. Karen Wan, Pathologist, at 266-1639, or Richard, Brown, Laboratory Chemistry Specialist, at 266-6083. On June 6, 2018, the reference range for the Cortisol, 8AM Cushings, the reported portion of the Dexamethasone Suppression Cushing’s test, will change from the current 0.0-0.5 ug/dL to 0.0-1.8 ug/dL. Coagulation Reference Range Changes, effective after 10 am. on Tuesday May 8, 2018. The AABB consensus on CMV testing is that Leukocyte reduction by any method capable of achieving a residual leukocyte count < 5 x 106 allows for the reduction of transfusion-transmitted CMV to a level at least equivalent to the level occurring with the use of CMV-seronegative components transfused to CMV-seronegative recipients. Our blood supplies provide only products that are prestorage leukoreduced. These products have been termed “CMV-safe” and are an approved product for adult patients who are at risk for transfusion-transmitted CMV infection. It is not necessary to note “CMV reduced-risk” or “CMV-negative” on blood product orders. Parkview Health Laboratories will continue to supply CMV-seronegative red blood cells and platelets for neonates and recipients of intrauterine transfusion only. The daily recommended allowance for Biotin is 0.03 mg However, supplements containing high biotin levels may contain up to 20 mg of biotin for hair, skin, and nail benefits, and physicians may recommend up to 300 mg per day for conditions such as multiple sclerosis. Patients taking Biotin at doses > 5 mg/day will see interference in IA tests that use biotin in the reaction. The chart below lists the Roche IA tests currently in use at Parkview Health Laboratories with the method used on the Roche instruments. IA tests using a competitive reaction will show a falsely elevated result. IA tests using a competitive reaction will show a falsely decreased result. The degree of interference is dependent on the amount of biotin taken. This screening assay utilizes a cut-off of 100 ng/mL for the detection of oxycodone and oxymorphone. This screen should be used for medical purposes only. Alternate confirmatory testing is available, as needed. Additional details may be found in the lab test directory at http://lab.parkview.com. For any questions please contact Dr. Karen Wan at 266-1639 or Richard Brown at 266-6083. On Monday, February 12, 2018, the Parkview health Laboratories will change the Calcium reference range for adults to 8.5-10.3 mg/dl. Beginning Oct 31, 2017, Parkview Health System Laboratories will implement a new Erythrocyte Sedimentation Rate Analyzer, the Alcor iSED. The iSED ESR analyzer is fully automated. following a three-minute mix cycle, the ESR result is available in 20 seconds. This photometric rheoscope technology is unaffected by variables commonly associated with traditional ESR testing, such as mixing, temperature, timing compared to other Westergren methods. This technology is less likely to be affected by the low hematocrit levels as compared to other methodologies. Thus, if the ESR is being used to follow the progress of a patient’s inflammatory disease, during treatment, there may be some variation from prior evaluations, and the patient may need to have a new baseline established. Specimen collection criteria remains unchanged. Sample stability remains at 24 hours, refrigerated. The male reference range will be revised. <=50 years of age: 0-15mm/hr (current 0-20mm/hr); >50 yrs. of age: 0-20mm/hr (current 0-25mm/hr). Female ranges do not change (<50 yrs = 0-20mm/hr, >50 yrs = 0-30mm/hr) . Dr. Zhuang, Hematology Medical Director, 266-1644. Parkview Health Laboratories has begun using a new manufacturer for our O&P kits. With this change, you will notice that the light blue cap vial is now a gray cap vial. Please utilize the new gray cap vial just as you would the old blue cap vial. The pink and white caps vials will remain the same in color. You will start to see this change with any new O&P kits that you request. Please continue to use any current kits that you may have as long as they are not expired. For any further questions, please contact Karen Irven at 260-266-1593. Coagulation reference range changes, effective 5-17-2017 (after 10am). Prothrombin time reference range 9.2 – 11.1 seconds. APTT reference range 23.6 – 32.6 seconds. The unfractionated heparin therapeutic range remains unchanged. If you have any questions, please contact Dr. Karen Wan at 266-1639. Effective March 15, 2017, the Trauma Panel will include a Blood Alcohol (Ethanol) for all patients 12 years and older. Orders on patients younger than 12 years of age will not include a blood alcohol. For questions, please contact Dr. Karen Wan, Laboratory Pathologist, 266-1630, or Richard Brown, Laboratory Chemistry Specialist, 266-6083. On March 21, 2017, four of Parkview Health Laboratories locations will begin reporting patient results for Chemistry testing using the Roche Cobas analyzers. PRMC, PVH, PHH, and PWB will make this switch at 9AM. The other laboratory locations (PWH, PWR, PLH, and PNH) will move to the Roche analyzers over the next 3 months. In addition to the change from Troponin I to Troponin T, there are some tests that have reference ranges that will change from what is currently being reported. The updated ranges are attached. For questions, contact Dr. Karen Wan, Laboratory Pathologist, 266-1630, or Richard Brown, Laboratory Chemistry Specialist, 266-6083. On February 28, 2017, Parkview Health Laboratories will begin converting Chemistry testing from the Siemens Dimension platform to the Roche Cobas platform. Feb 28, PRMC and PVH will go live on the Roche instruments. March 14, PHH and PWB will go live. May 2, PWH and PWR will go live. May 23, PNH and PLH will go live. During this period of time, there will be limited standardization of reference ranges between the Laboratories. The reference range changes are in the process of being evaluated and will be posted as soon as they are established. Troponin I and Troponin T values are not interchangeable. It is recommended that if a patient is transported to a facility using the other Troponin, that the timing for serial determinations be reset. Jennifer Marino, Roche Diagnostics Corporation Medical and Scientific Liaison, is available to answer questions concerning the conversion to Troponin T, Jennifer is working with nursing and physician groups to communicate the changes. For further information or questions, please contact Karen Wan, Laboratory Pathologist, 266-1639, or Richard Brown, Laboratory Chemistry Specialist, 266-6083. Effective January 24, 2017, Parkview Health Laboratories will begin offering Mycobacterium tuberculosis, PCR testing in house. This test detects Mycobacterium tuberculosis complex DNA in raw expectorated sputum or concentrated sputum sediment prepared from induced or expectorated sputum. In specimens where Mycobacterium tuberculosis complex (MTB-complex) is detected, the test also detects the rifampin-resistance associated mutations of the rpoB gene. This test is intended for use with specimens from patients for whom there is clinical suspicion of tuberculosis (TB) and who have received no anti-tuberculosis therapy, or less than three days of therapy. This test should always be used in conjunction with Acid Fast Bacilli culture, not as a replacement for the culture. For any questions please contact Dr. Karen Wan at 266-1639, or Ann Vick at 266-1521. To be consistent with best practice, Parkview Laboratories are discontinuing the random Microalbumin, Semi-Quantitative dipstick test (MicralTM) on December 1, 2016. The test will be replaced by the random Microalbumin, Quantitative Urine test (Test Code - UMALR) which includes a Microalbumin/Creatinine ratio. Folate deficiency in the US is exceedingly rare since FDA-mandatory folic acid supplementation in grain beginning in the 1990’s. One recent estimate is ~0.1%. Studies on the Parkview patient population show that less than 1% have abnormal serum or RBC folate levels. A recent large scale review and a large study at Mayo Clinic support that serum folate and RBC folate are equivalent in the assessment and diagnosis of folate deficiency. Effective 12-1-2016, RBC folate testing will no longer be offered in house at Parkview Health Laboratories, but will be available as a send out test. The panels VBFOL (vitamin B12, RBC folate and serum folate) and VBFLS (vitamin B12 with serum folate) will be inactivated. Each test will be orderable as individual tests. Ref: Am J Clin Nutr 2013;98:1041-7, Clin Chem Lab Med 2013;51(3):555-69, Red Cell Folate Testing. Mayo Hot Topics; Nov 2010. The Microbiology Lab uses a sensitive and specific molecular amplification test to detect Clostridium difficile infection (CDI). Due to the sensitive nature of the test, it is not necessary to submit more than one specimen per week; specimens received in the lab within 7 days of previous testing will be rejected. CDI testing should be limited to those patients having clinically significant diarrhea (>=3 unformed stools within 24 hours). Formed stools will be rejected by the laboratory to help eliminate false positive results. Performing a test of cure is not recommended, as patients may remain positive after CDI has resolved. Stools collected within 10 days of a previous positive result will be rejected by the laboratory. If diarrhea returns after symptoms had previously resolved, testing is appropriate as treatment failure is possible. Siemens, the manufacturer of our Vitamin D assay, has recently updated the Instructions for Use (IFU) for their 25-OH Vitamin D assay due to discrepancies in values when testing is performed on plasma versus serum. The D-Dimer test result comment has been revised to reflect manufacturer’s disclaimer regarding specificity and sensitivity claims. No changes have been made to reference range or interpretation. New Comment: In excluding deep vein thrombosis (DVT) and pulmonary (PE): In a non-high clinical probability population, using a cutoff of 0.5 mg/L FEU, a normal (<0.5 mg/L FEU) result excludes deep vein thrombosis (DVT) and pulmonary (PE) effectively. (Negative predictive value is 96-100% and 97.5-100% respectively). In detecting DVT and PE: using a cutoff of 0.5 mg/L FEU, the sensitivity is 96-100% and 93.3-100% respectively and the specificity is 34.5% and 39.6% respectively. Siemens Healthcare Diagnostics has announced that N-Acetylcysteine (NAC) and Metamizole (Dipyrone) interfere with some reagents used on Parkview Health Laboratories instruments, causing falsely depressed results. N-Acetylcysteine (NAC) interferes with Triglycerides reagent. Metamizole interfere with Triglycerides, HDL and Uric Acid reagents. Venipuncture should occur prior to N-Acetylcycteine (NAC) or Metamizole administration to due to the potential for falsely depressed results. Please direct questions to Richard Brown, Chemistry Specialist, at 266-1521, or Dr Steven Wang, Clinical Pathologist, at 266-1640. Beginning June 16th Cryptococcal Antigen Assay will be done by lateral flow methodology which will allow the Microbiology Department to run this test on all shifts. 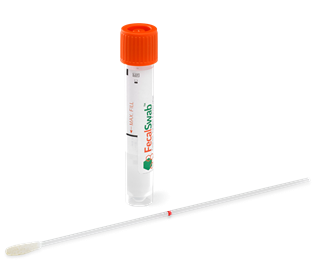 This test may be run on CSF (Epic: Cryptococcal Antigen Screen Spinal Fluid) or serum (Cryptococcal Antigen Screen Serum) and will replace the current latex agglutination method (Epic: Cryptococcal Antigen Screen). Specimen: Stool placed in Cary Blair Vial (green top stool vial—HEMM #91915) within two hours. No endoscopy stool aspirates or rectal swabs. Bacteria: Campylobacter (C. jejuni/C. coli/C. upsaliensis), Clostridium difficile toxin A/B, Plesiomonas shigelloides, Salmonella, Vibrio (V. parahaemolyticus/V.vulnificus/V. cholerae), Yersinia enterocolitica, Diarrheagenic E. coli (Enteroaggregative E. coli (EAEC), Enteropathogenic E. coli (EPEC), Enterotoxigenic (ETEC) heat-labile (lt) and heat-stable (st) Enterotoxins , Shiga-like toxin-producing E. coli (STEC) including E. coli O157, Shigella/Enteroinvasive E. coli (EIEC). Viruses: Adenovirus F 40/41, Astrovirus, Norovirus GI/GII, Rotavirus A, Sapovirus (Genogroups I, II, IV and V). Parkview Health Laboratories presently reflexes a Group A Strep Culture on all negative Rapid Strep A results. Beginning May 31st we will begin reflexing cultures on only those patients less than eighteen years of age. For those patients eighteen and older, a Group A Strep Culture (Soft Code: CXGRA) or Throat Culture (Soft Code: CXTHR) may be ordered separately if desired. On June 1, 2016, PRMC Chemistry will begin Procalcitonin (PCT) testing. The specimen requirement will be 1 ml plasma from Lithium Heparin (Mint Green top PST) tube. Testing will be performed Monday-Sunday on all shifts. PCT <=0.5 ng/ml = Low risk for progression to severe systemic infection(severe sepsis/septic shock. CAUTION: PCT levels below 0.5 ng/ml do not exclude infection, because localized infections (without systemic signs) may be associated with such low levels. If PCT is measured very early after a bacterial challenge (usually <6 hours), these values may still be low. In this case, PCT should be re-assessed 6-24 hours later. PCT >0.5 to <=2 ng/ml= Moderate risk for progression to severe systemic infection (severe sepsis/septic shock). The patient should be closely monitored both clinically and by re-assessing PCT within 6-24 hours. PCT >2 ng/ml = High risk for progression to severe systemic infection (severe sepsis/septic shock). For questions, contact Janet Benoit, Laboratory Technical Manager, at 266-1505, Richard Brown, Laboratory Chemistry Specialist, at 266-1521, or Dr. Steven Wang, Laboratory Pathologist, at 266-1640. Changes effective 5-17-16, Prothrombin time reference range 9.4-11.6 seconds, APTT reference range 23.8-33.8 seconds, INR upper reportable range >8.9. If you have any questions please contact Dr. Cindy Nie at 266-1641. On May 17, 2016, the CK and reflex CKMB will be removed from the Cardiac Stat Panel (test code CARDC). The CK or the CKMB (which includes CK & CKMB) can be ordered as needed. For questions, contact Janet Benoit, Laboratory Technical Manager, at 266-1505, Richard Brown, Laboratory Chemistry Specialist, at 266-1521, or Dr Steven Wang, Laboratory Pathologist, at 266-1640. To be consistent with best practice, Parkview Laboratories are discontinuing the Thyroid Profile and Thyroid Profile with TSH tests on 4-5-16. All the tests included in these profiles are available individually. Orders previously placed for these profiles will be converted into the TSH with reflex Free T4. Questions can be directed to Dr. Steven Wang, Medical Director, at 266-1630. The most significant change will be the use the current Troponin I to the Roche Troponin T assay. Clinical Laboratory Scientist (CLS) Program : The Parkview Medical Laboratory Science Program, established in 1956, provides an up-to-date curriculum designed to prepare graduates with the skills and knowledge demanded of a professional medical laboratory scientist.